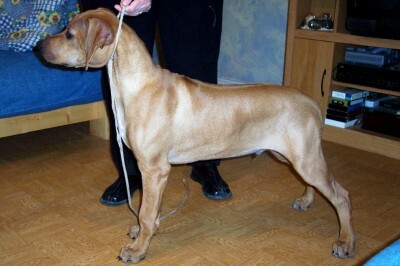 and is from our Justice x Seven litter. Tsavo wins the ARRF - Regional Specialty and the RRCC National Specialy in one weekend!! 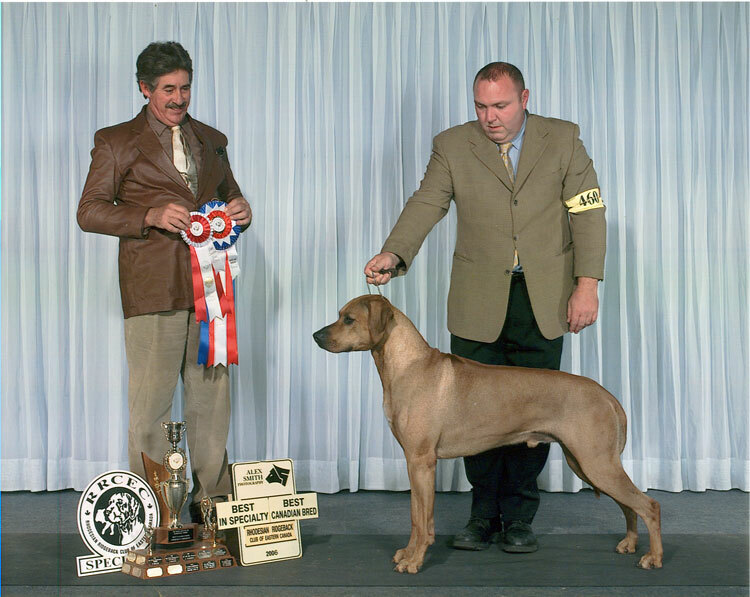 Many thanks to respected hound judges Alan Ewles & Edgar Bajona! 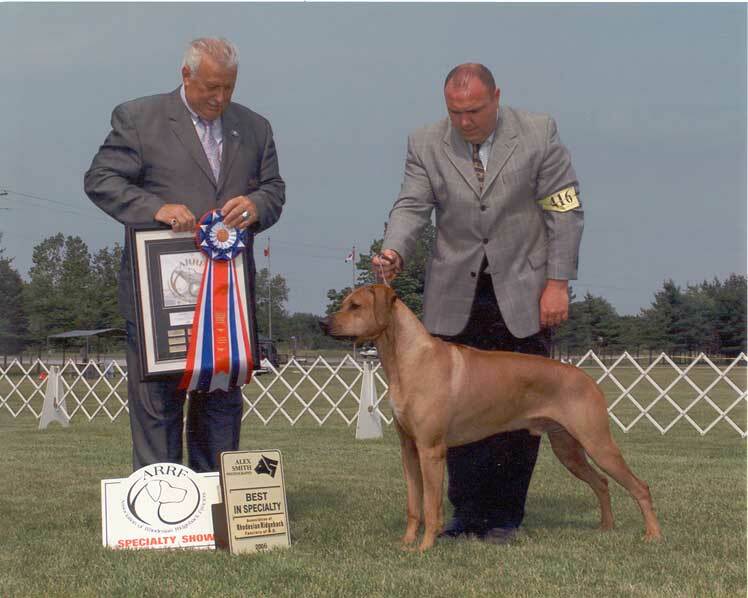 under fellow Ridgeback-breeder-judge Filiberto Arniella from Puerto Rico. 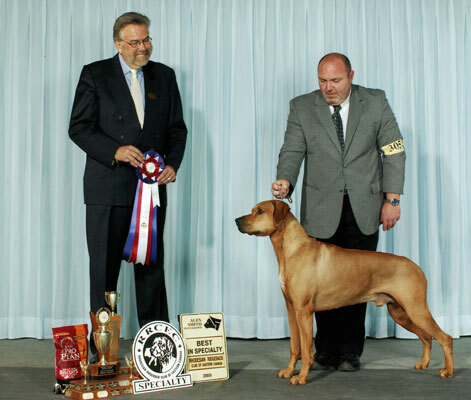 Tsavo wins all 3 Canadian Specialty Shows in 2006 !!! A hat trick for Tsavo ! 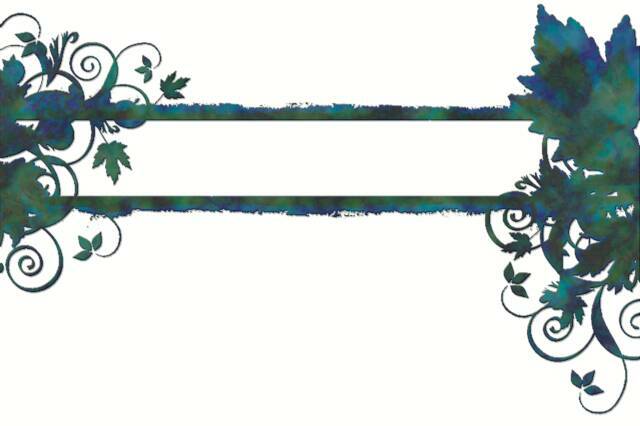 (National & Regional) in the same year! Colin & Tsavo .... what a team! 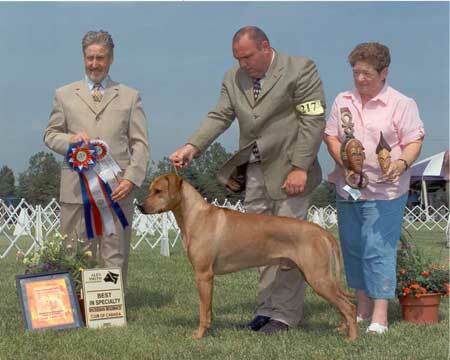 Later the same day at a supported entry show, he not only took Best of Breed but also a Group 2nd ! This dog Loves to show!